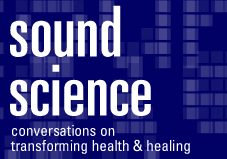 A new podcast series called "Sound Science: Conversations on Transforming Health and Healing" has been unveiled on the website of Emory University's Woodruff Health Sciences Center. The twice-monthly audio series will highlight individual scientists and their discovery research. The Sound Science website will include biographical information, slideshows, lively commentary and related links, as well as archived Sound Science on-demand podcasts. The first Sound Science podcast showcases Greg Berns, MD, PhD, distinguished chair of neuroeconomics at Emory University. Berns talks about neuroeconomics, personal decision making, group decision making, and iconoclasts, the subject of his latest book. "We are delighted that Sound Science will help us highlight Emory University's many outstanding and distinguished scientists and their cutting-edge biomedical research," says David Stephens, MD, vice president for research in Emory's Woodruff Health Sciences Center. The podcasts are free and can be accessed on demand or by RSS feed. To listen and view the related content, access "Sound Science" at www.whsc.emory.edu/soundscience. "Sound Science" also will become a key feature in the Research News e-newsletter recently launched in Emory's Woodruff Health Sciences Center. To view the current and archived issues of Research News, visit the WHSC web site.